Kitchen remodels can become a lengthy process for homeowners. Our biggest tip to you is to not be caught off guard when the remodel begins and you have nowhere to cook. Remodeling your kitchen will be one of the best choices for your home, but it is a long process. 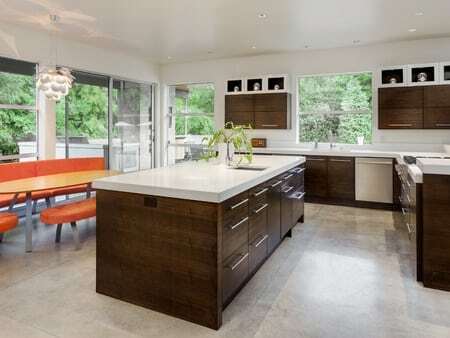 We have compiled a list of tips for homeowners to use while their kitchen is being remodeled. Enjoy! 1. Have a backup kitchen. You will want to have your “makeshift kitchen” somewhere that does not collect dust or debris from the construction. The makeshift kitchen will allow you to make simple meals during the remodeling period. Try to be near a bathroom for access to water. 2. Expect the unexpected. Unforeseen circumstances will probably arise during construction. Make sure to have extra money put away for the unknown. It is better to be safe than sorry when you are remodeling. 3. Look on the bright side. Your family may begin to get restless and groan during the remodel, but it is important for you to stay positive. You are getting a brand new kitchen! Go out for ice cream one night as a family to reward everyone for putting up with the construction. 4. Stay healthy. It is easy to order take out every night or pick up fast food on the way home but during your remodel you should strive towards making healthy food decisions. If you are looking to eat meat, use an outdoor grill. If you want to eat vegetables, try eating raw ones that do not need to be cooked. If you want some grains, try incorporating microwavable rice. These options may not be your favorite food options, but they can help keep you on track during the kitchen remodel. We would be more than happy to help you with your flooring needs during your remodel. We have a wide selection available to customers and experienced staff ready to meet your needs. Stop by one of our showrooms!